The City of Edmonton and Edmonton Nordic Ski Club (ENSC) are working in partnership on a trail upgrade and snowmaking project for Gold Bar Park. This snowmaking project will enhance Gold Bar Park by providing safer trails and a reliable, extended cross-country ski season for the greater Edmonton community, even in low-snow years. The installation of snowmaking infrastructure. The enhancement of trail systems to improve public safety and accommodate cross-country ski grooming equipment. The Edmonton Nordic Ski Club, in collaboration with the City of Edmonton, built and continues to maintain a 10-kilometre network of cross-country ski trails in Gold Bar and Goldstick Parks. Over the past 10 years, the partners have invested over $1 million in trail development, trail lighting, tree planting, facilities and grooming equipment. Exceptional recreational and competitive cross-country skiing experiences, including ski instruction and outdoor education, are provided in the Edmonton region for citizens, students, athletes and private groups. 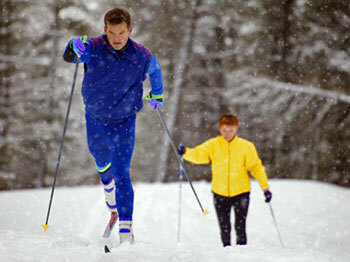 The Edmonton Nordic Ski Club is open to all, with approximately 700 members, including 250 families. Recent low and no snow years have resulted in poor-to-marginal cross-country ski conditions in the Edmonton region. This has had a tremendous impact on the recreational and professional skiers. With the installation of the water line through Gold Bar Park in 2005, an opportunity arose to develop the snowmaking infrastructure that would provide a reliable ski venue and an extended ski season for enthusiasts. With the snowmaking infrastructure in place, the ski trails will be widened and refurbished to facilitate grooming and to meet modern cross-country ski standards, which will result in safer conditions. The snowmaking equipment in Gold Bar Park will be supported by an underground water and power distribution system that will be installed under the Lake Loop and 50th Street Loop, and connected to the two existing outlets in Gold Bar Park. Installation of five unobtrusive, above ground hydrants. Installation of four unobtrusive, above ground hydrants. Snowmaking will supplement natural snow conditions over approximately 14 days in late fall, dependent on temperature. Additional snowmaking will only occur later in the season to improve deficient trail conditions. Trails will be closed sequentially, with clear detour signage redirecting trail users. Artificial snow will be produced with a carriage-mounted SMI Kid Pole Cat, pulled using trail-grooming equipment. The Kid Pole Cat uses a 7.5 horsepower fan to achieve a narrow, targeted throw area, with minimal overspray. The snowmaking project is financed through the efforts of the Edmonton Nordic Ski Club. The responsibility for maintenance and trail grooming falls within the ENSC mandate. Operational costs attributed to Edmonton will be offset by the membership. There will be no user fees.